An alternative solution for Importers that can receive the Tax Invoice for payment months prior to receiving the goods into stock. 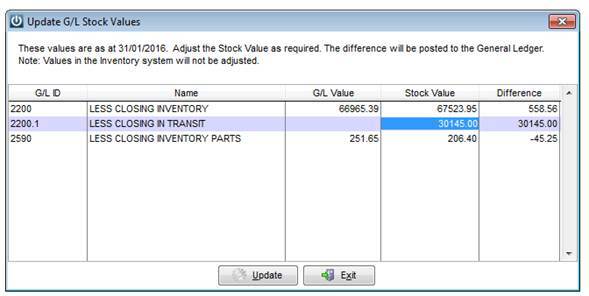 The problem here is that the month the Invoice is received into increases the Purchases (showing a huge loss for that month), but the Closing Stock isn’t adjusted because they have not received the product yet. When the product is received it shows a huge profit for the month. Create a new Product Code ZIT (or just IT, I prefer to put a Z in front so it doesn’t get mixed in with normal products). Note if your Supplier Invoices can be a combination of GST Inclusive and Exempt then you will need a second Product Code. When you receive the Invoice in a different month to the products arriving. Open the purchase order and at the bottom add the ZIT product code twice. One with a positive quantity and one with a negative quantity with the GST Exclusive value of the invoice. 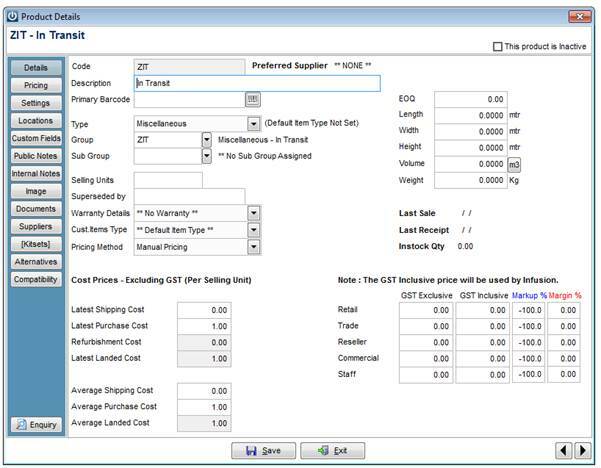 Receive in the positive value only, allowing you to correctly process the Invoice to Purchases. At the end of the month update the Stock Value to GL, the In Transit Closing Stock will be adjusted by the value of the Purchase Order. The Profit and Loss will now be correct without the fluctuation. To receive the stock, Receipt all of the products and the negative ZIT making it a $0.00 invoice. 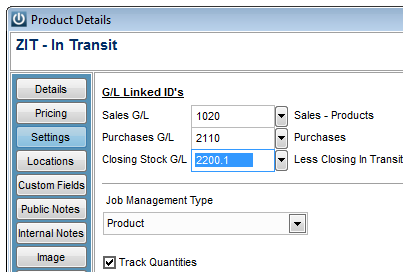 The next months Profit and Loss after updating the stock value to GL, nothing has happened to purchases, Closing Inventory In Transit has changed to $0.00 and Closing Inventory has increased.